Make sure to select the Gallery option. 2. 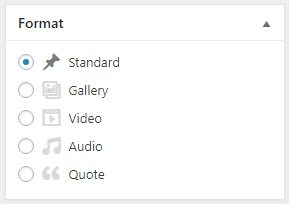 On the post edit screen, click on the “Add Media” button to upload your images. 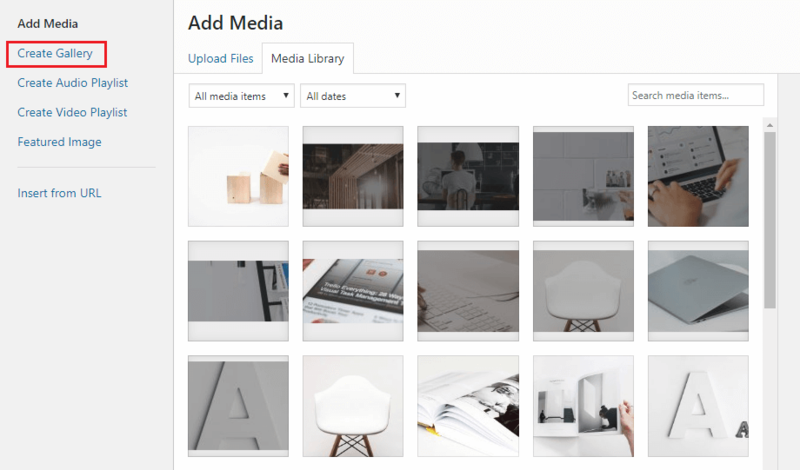 This will bring up the WordPress media uploader where you can upload your photos. You can also select photos you have previously uploaded from media library. 3. After uploading and selecting your images click on the “Create Gallery” link from the left column. Media uploader will now show your selected images with gallery settings. Once you are done, you can click on the “Insert gallery” button. 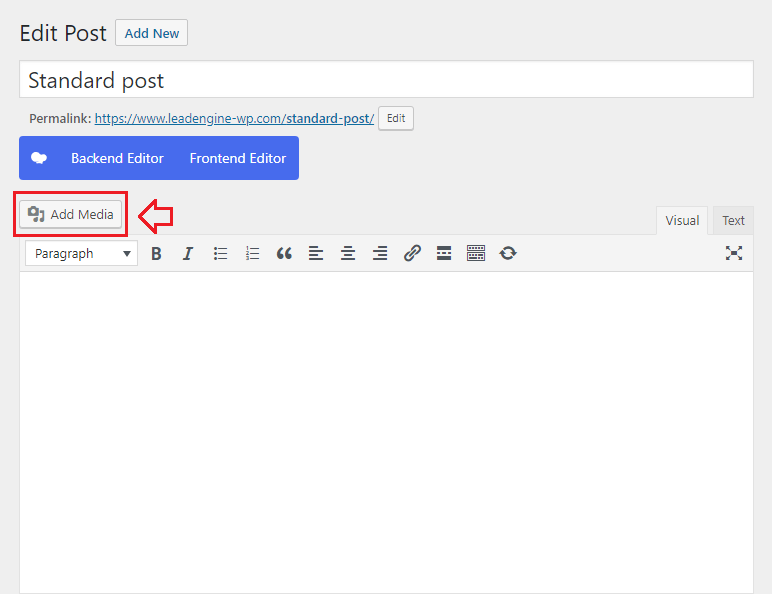 This will close the media uploader popup, and you will be able to see your image gallery in post editor. 4. You can now save or publish the post, and visit your website to see your image gallery in action.